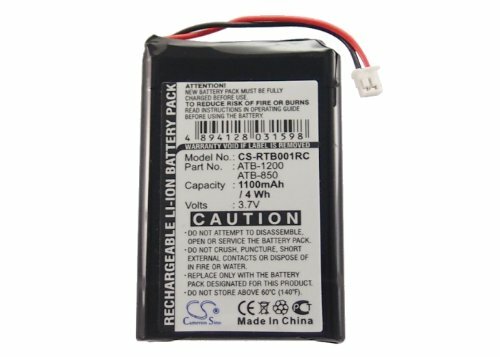 Replacement for the Following Battery Model/Part Numbers:ATB-1200. Compatible with the Following Models:RTI T2B, T2Cs, T2C, T3 . Capacity:1100mAh 3.7V Li-ion Rechargeable Battery Pack. Cameron Sino Over 10 Years Battery Manufacturing Experience. Battery Replacement Kit for Magellan Maestro 5310 with Installation Video, Tools, and Extended Life Battery. Battery Replacement Kit for Garmin Nuvi 1300 with Installation Video, Tools, and Extended Life Battery. Battery Replacement Kit for Garmin Nuvi 265W with Installation Video, Tools, and Extended Life Battery.